If you already have my Korean BBQ marinade in the refrigerator, all you have to do is add a little more soy sauce so that the marinade is not as sweet. Honestly, galbi-jjim is not the simplest dish to make and that is probably why it is made on special occasions, but it is by far one of the top Korean dishes. 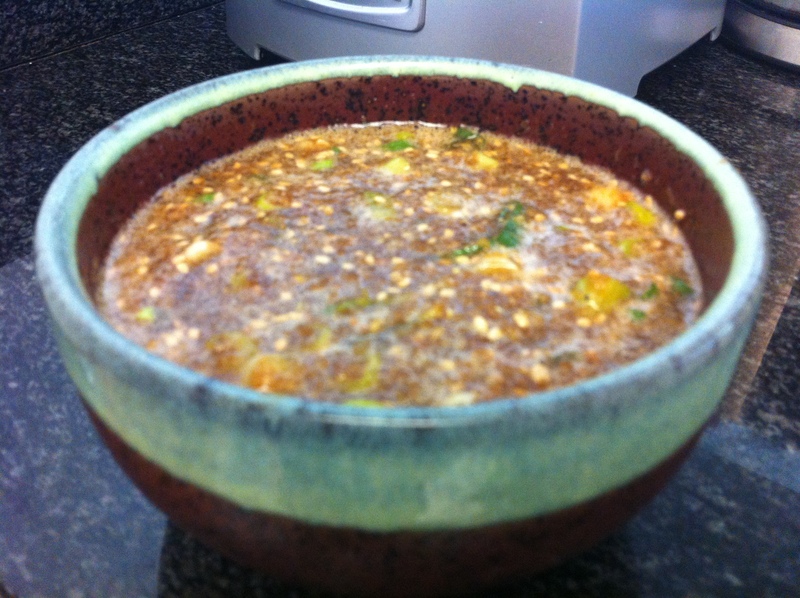 Today, I simply threw all the marinade ingredients in a food processor. If you do not have one, all you have to do is grate the onion and fruit with a grater or microplane. I also like to add daechu (대추, dried jujubes), eunhaeng (은행, gingko) and bam (밤, chestnuts), which can be bought at Korean grocery markets but skip it if you don’t have them. 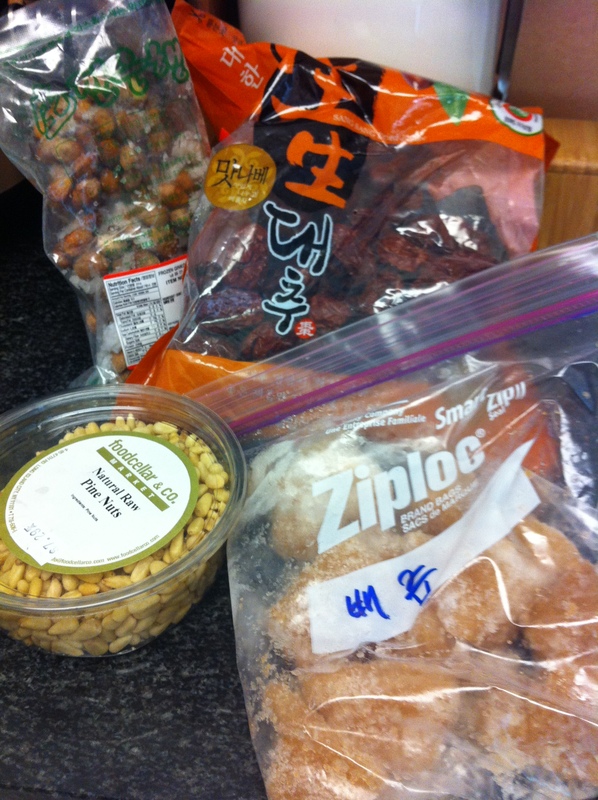 Daechu is usually in the dried fruit and vegetable section and eunhaeng or ginkos can be found in the freezer section. 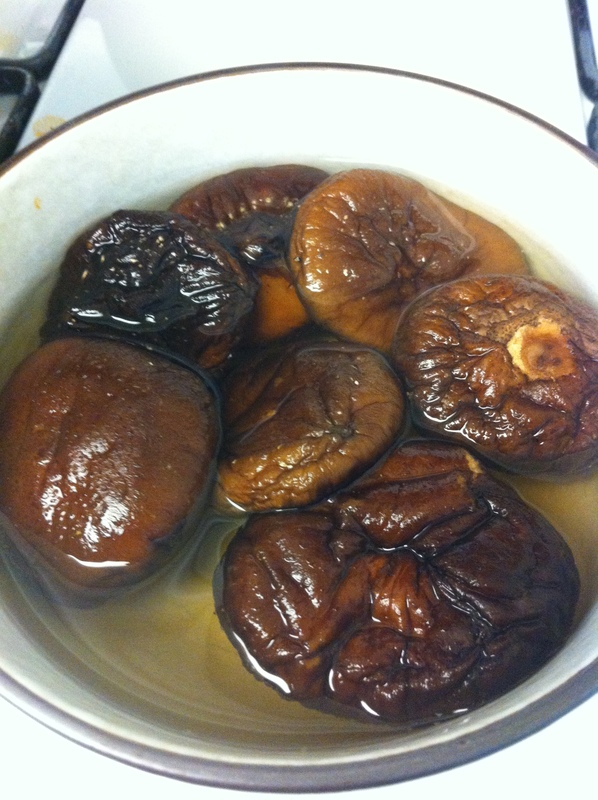 I like using the already cooked and packaged bam (밤) or chestnuts that are always in Korean supermarkets as well. 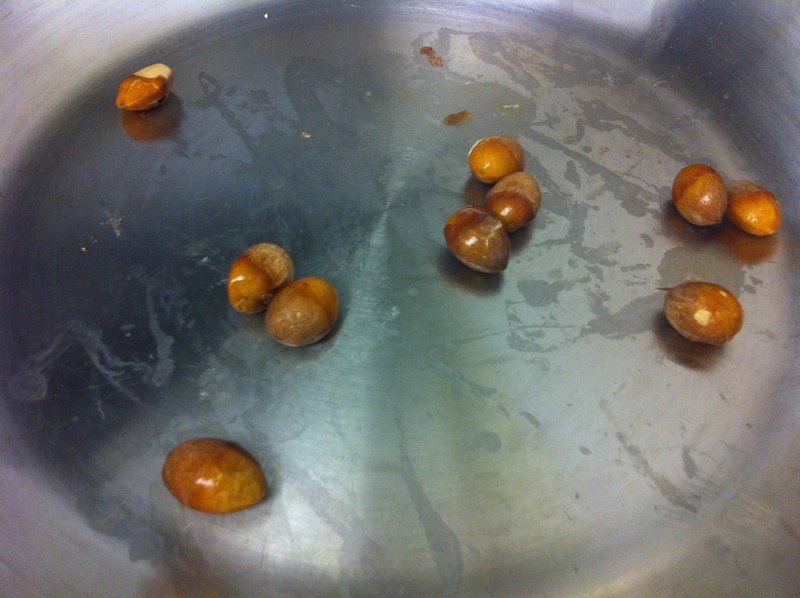 Good quality chestnuts are hard to find in the US and moreover, you don’t have to go through the painstaking process of peeling off the hard shells of the chestnuts. 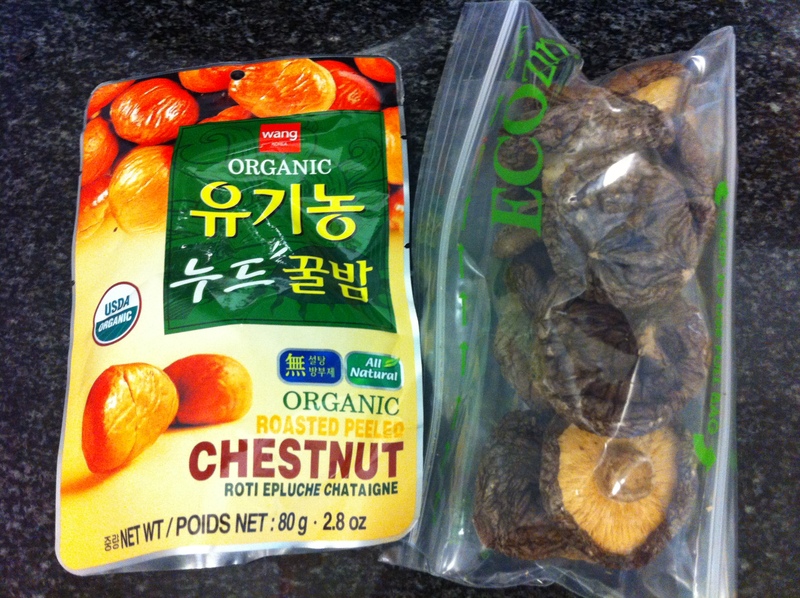 Another option for chestnuts is to look for already peeled raw chestnuts in the freezer section in the Korean grocery. 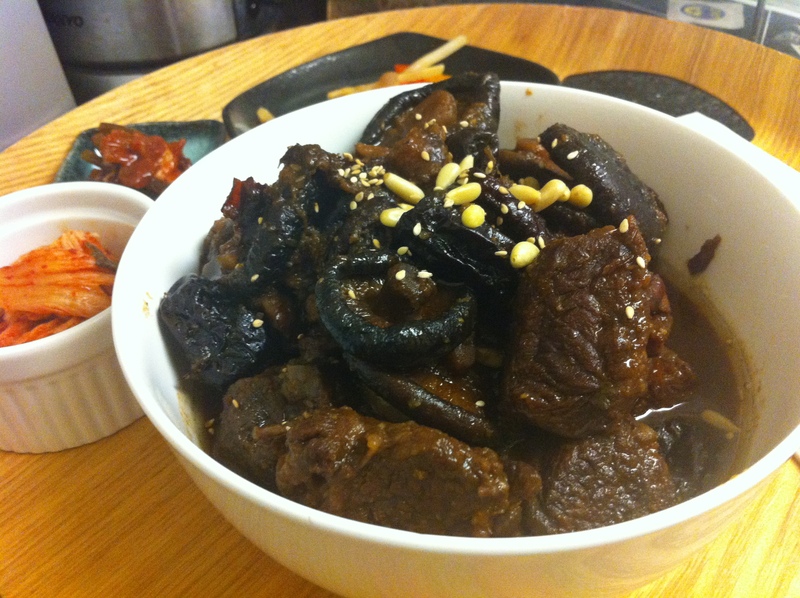 You can also add moo (무, Korean daikon) and/or carrots to the galbi-jjim. 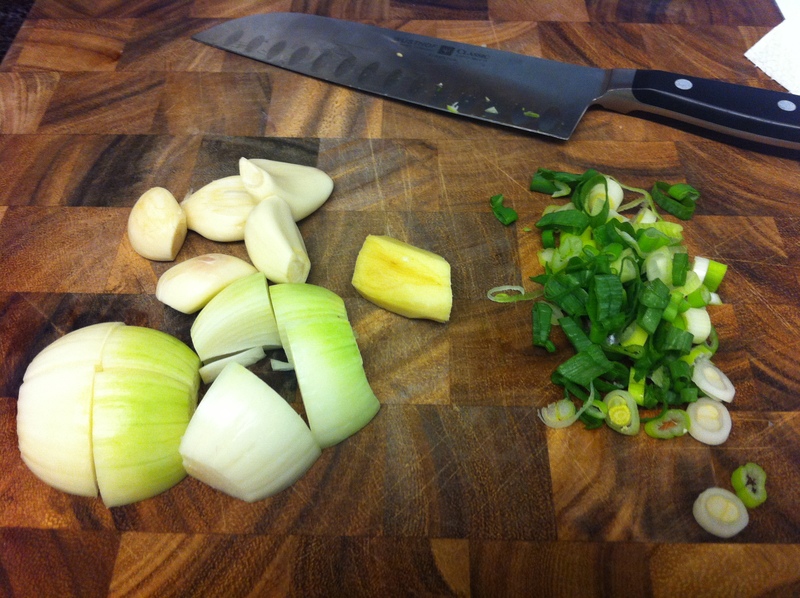 If you are using these vegetables, cut them in large cubes, a little smaller than the size of the short ribs. It is nicer if you round the edges of these cubes so they look almost like balls but don’t worry about it if it is too much trouble. 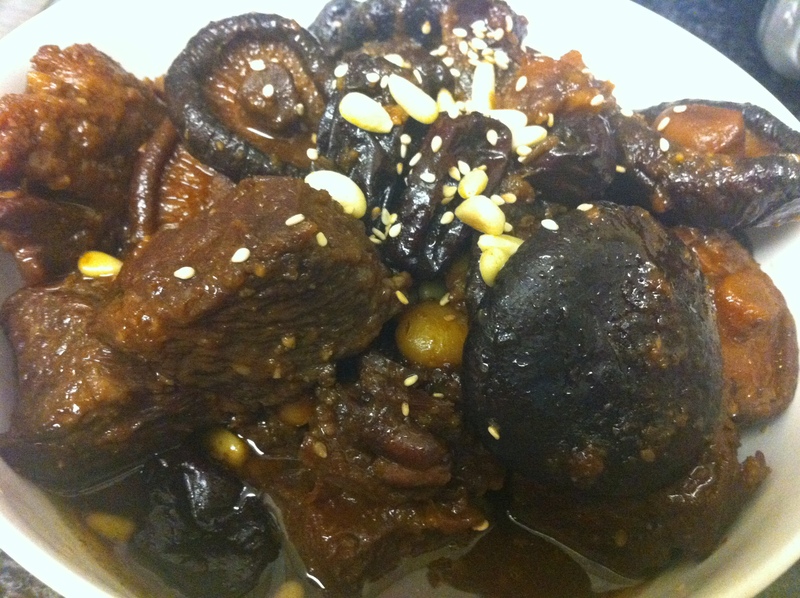 One my favorite ways to cook galbi-jjim is to use a pressure cooker, which is one of the functions of my rice cooker. I place all the ingredients in the pressure cooker/rice cooker and cook the galbi for about an hour in the pressure cooker. You can also use a slow cooker on high for 5-6 hours. 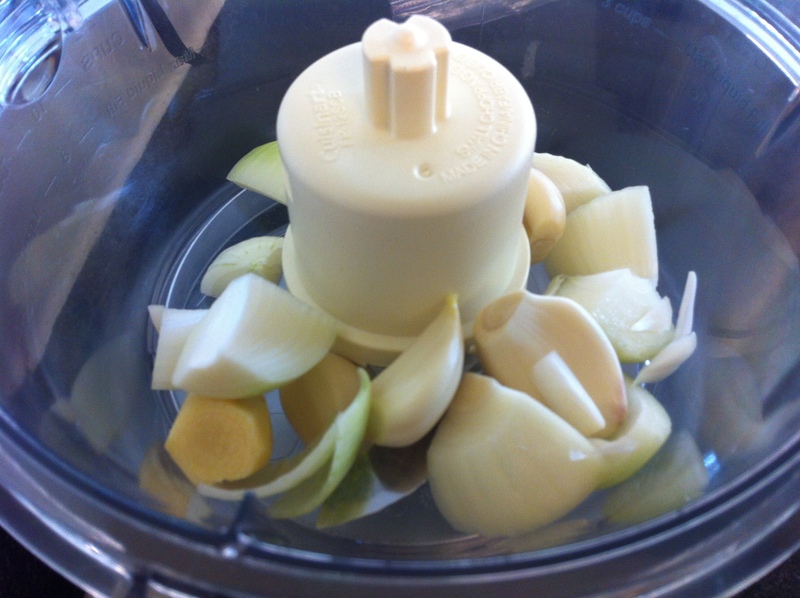 It is important to note that you should not add any water if you are using either a pressure cooker or slow cooker. Today though, I want to show you how to cook galbi-jjim on the stove top because this method is the traditional way of making this dish. In this recipe, I had accidentally bought short ribs without the bone, which is actually easier to eat. Truthfully though, my favorite part of short ribs is where the meat attaches to the bone. Short ribs without the bone are easier to eat and more affordable because you don’t have to pay for the weight of the bone, whereas short ribs with the bone are a traditional galbi cut and taste better. 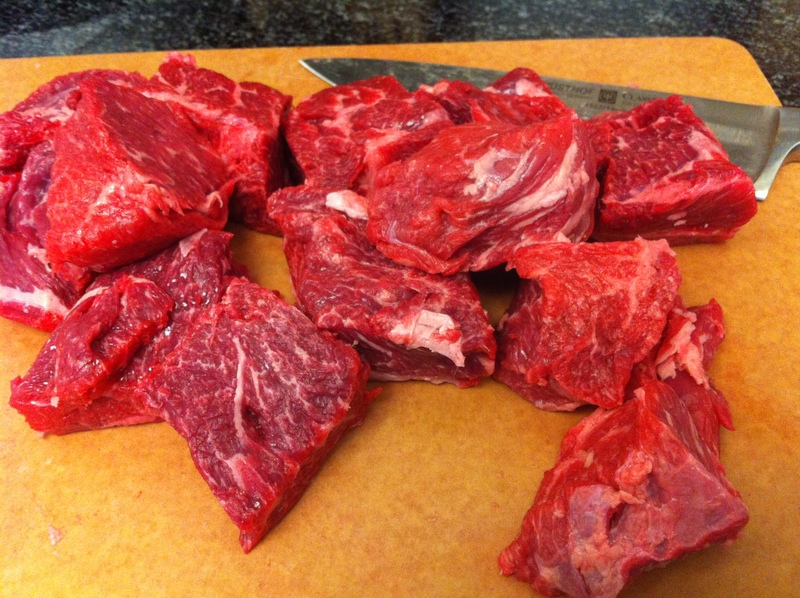 Cut the short ribs into about 2 inch chunks if they are not already cut. Trim off excess fat and cut the ribs into about 2 inch (5 cm) pieces. 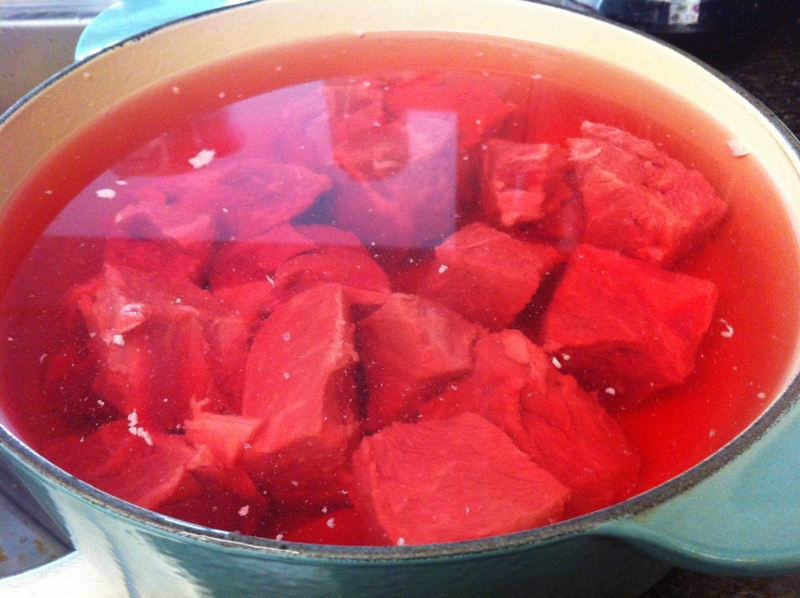 Soak the short ribs in a large bowl of water. If you use short ribs without the bone, soak them for about an hour. 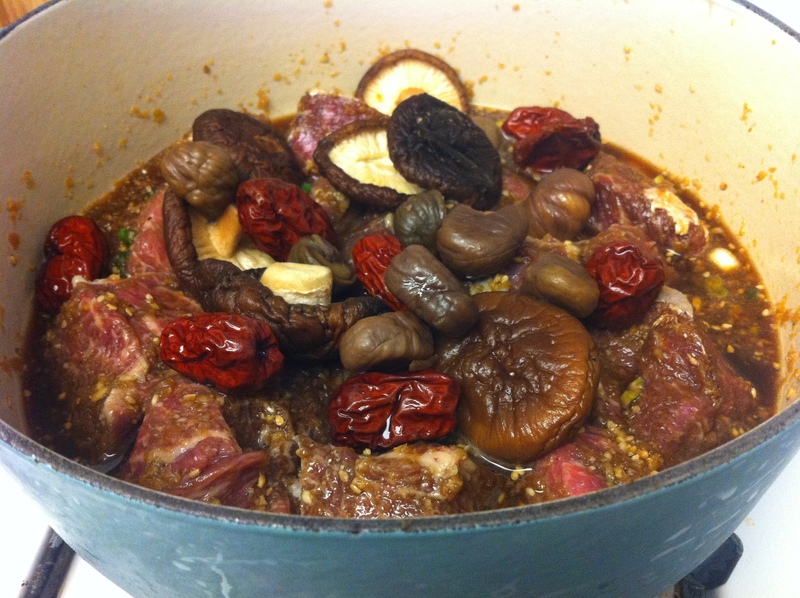 If you are using short ribs with the bone, soak them for at least 3 hours or even overnight in the refrigerator. Make the marinade. You can simply throw in all the ingredients except for the diced scallion and sesame seeds in the blender or food processor. 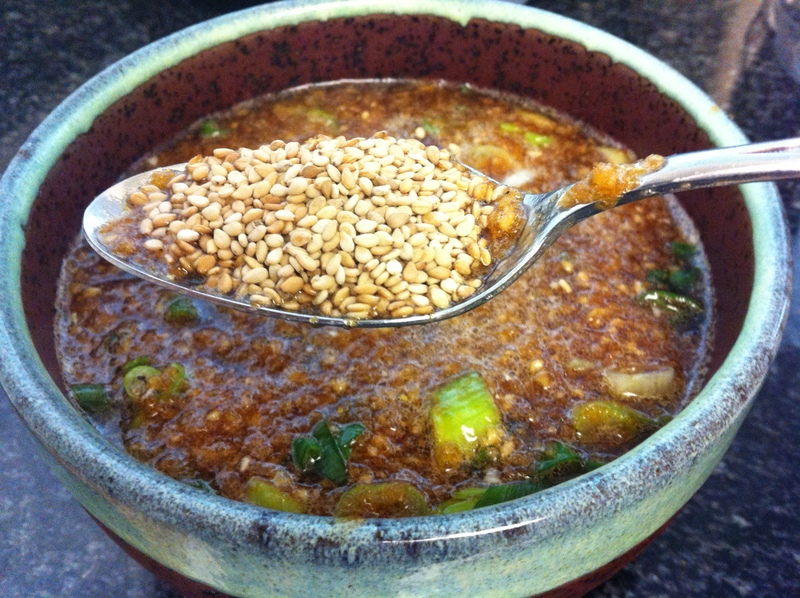 Add the scallions and 1 tablespoon of sesame seeds afterwards. You can also just grate the onion and fruits with a grater or microplane and mix in the rest of the marinade ingredients. Throw away the water the meat was soaking in. 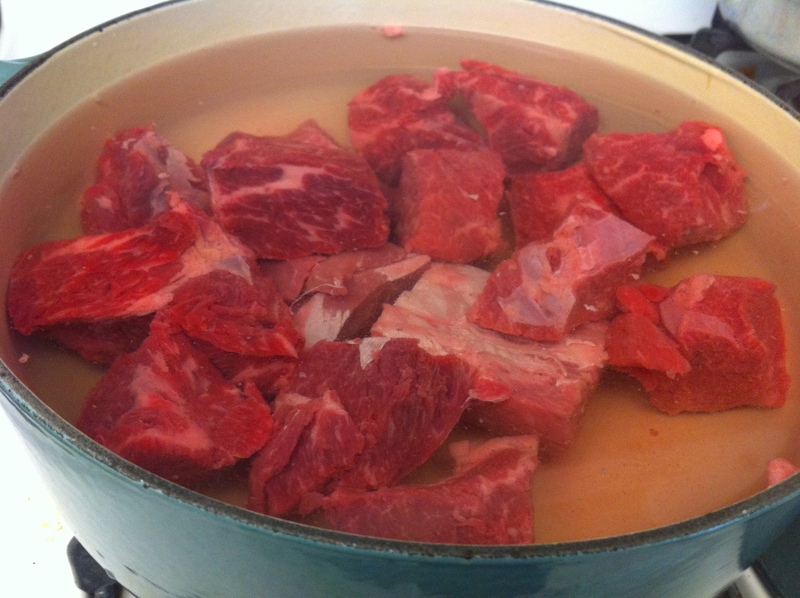 If you like, you can boil the short ribs in a large pot of fresh water. Throw the water away after about 5 minutes of boiling and rinse. This gets rid of excess fat and the meaty odor. I skipped this step. 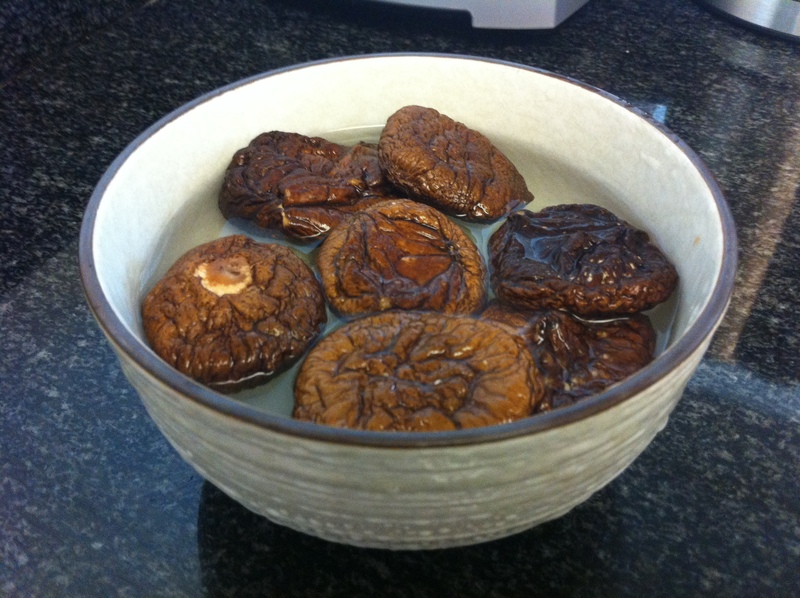 If you are using dried shitake mushrooms, soak them in luke warm water for about 20 minutes. 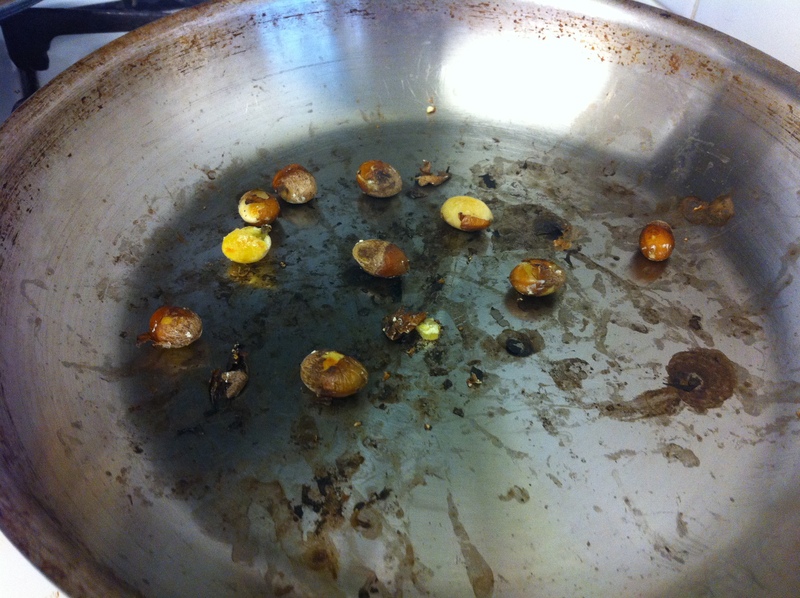 If you are using eunhaeng (은행) or ginkgoes, heat a skillet on medium heat. 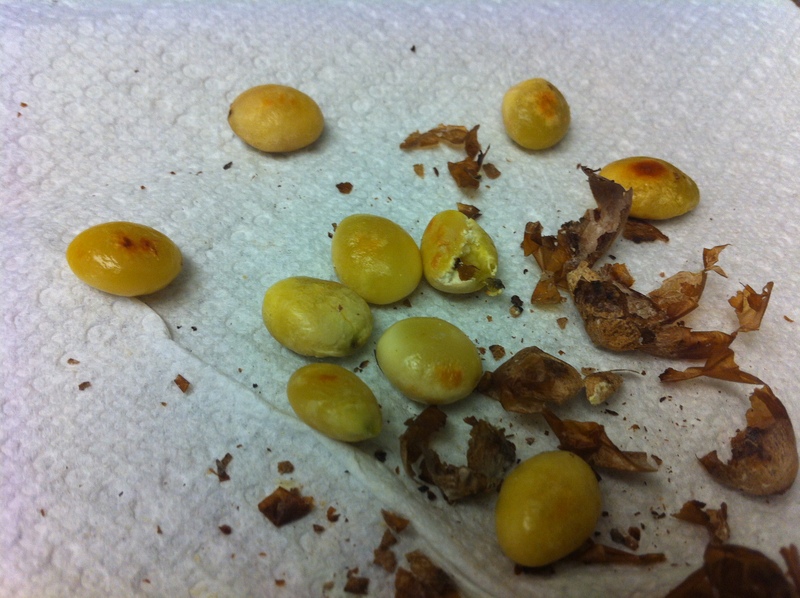 Add the ginkgoes without any oil and stir for about 3-5 minutes until the skin of the ginkgoes start cracking. 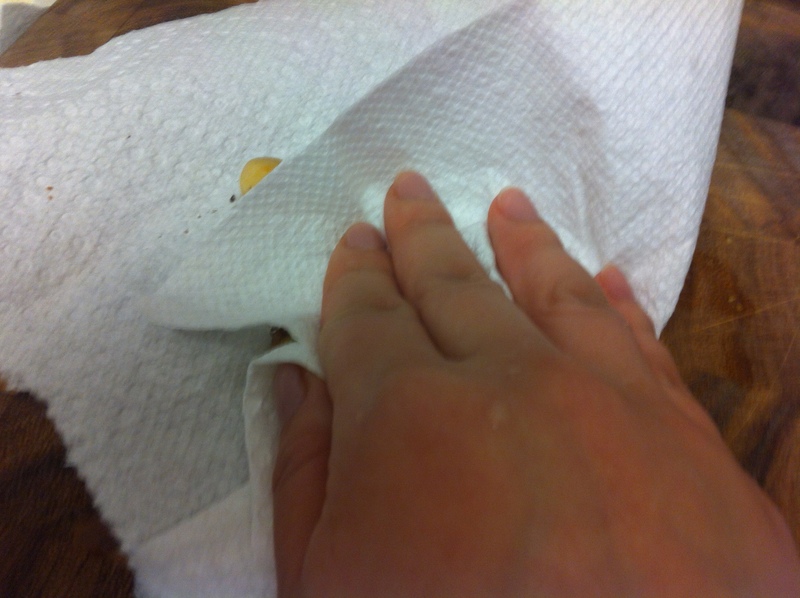 Let it cook and place them between paper towels and rub them. The skin should come right off. 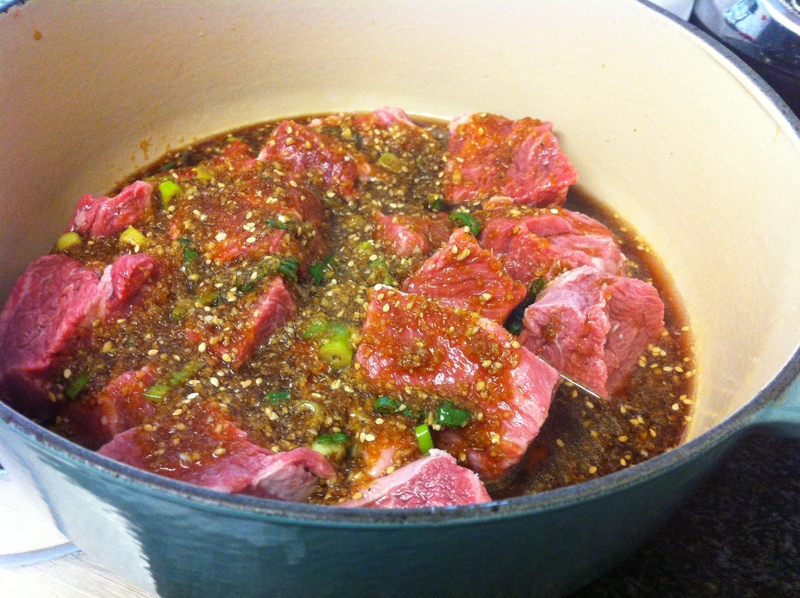 Marinate the short ribs with about 1 cup of Korean BBQ marinade. 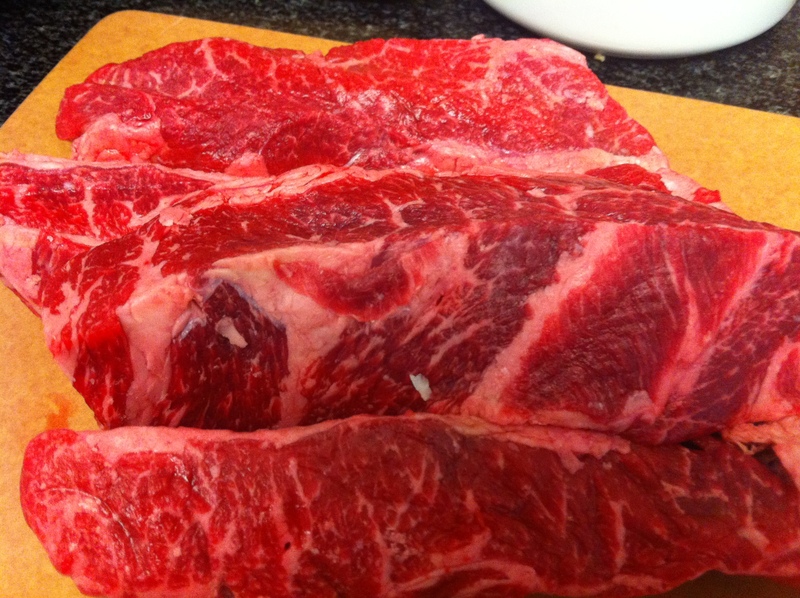 If you are marinating raw short ribs, you can let it sit in the marinade for about an hour in the refrigerator. 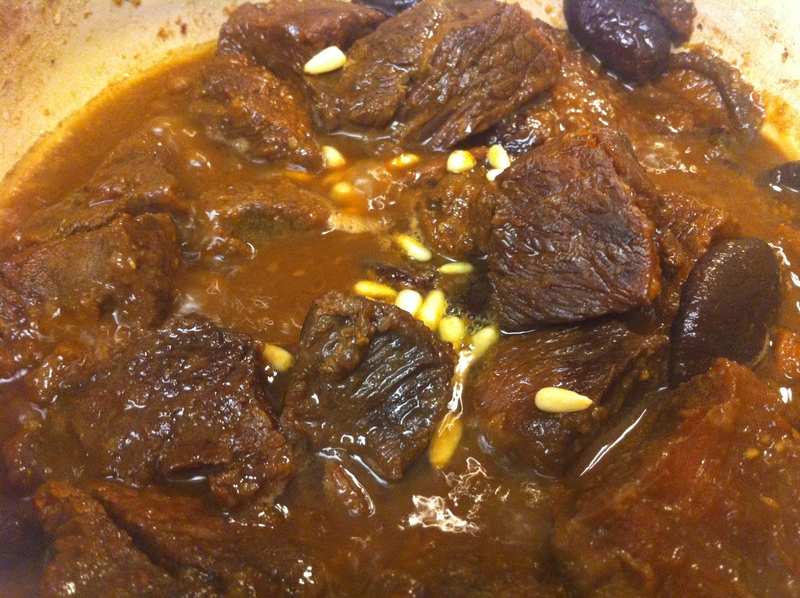 Place the marinated short ribs and the rest of the ingredients except for the pine nuts and the remaining sesame seeds in a heavy pot and pour about 1 1/2 cup of water. Bring it to a boil with the lid open. This also helps get rid of the meaty smell. Let it boil for about 10-15 minutes. Lower the heat to a simmer and close the lid. Cook the galbi for about an hour. Finally open the lid, bring the heat back up to high and reduce the sauce for about 10 minutes. This helps the galbi-jjim to have a sheen. Taste and add more marinade if needed. 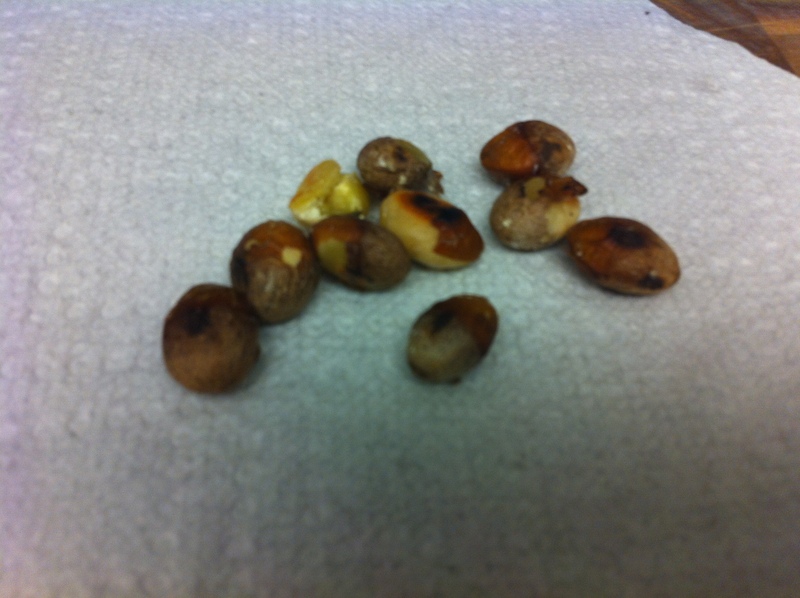 Garnish with pine nuts and the remaining sesame seeds. 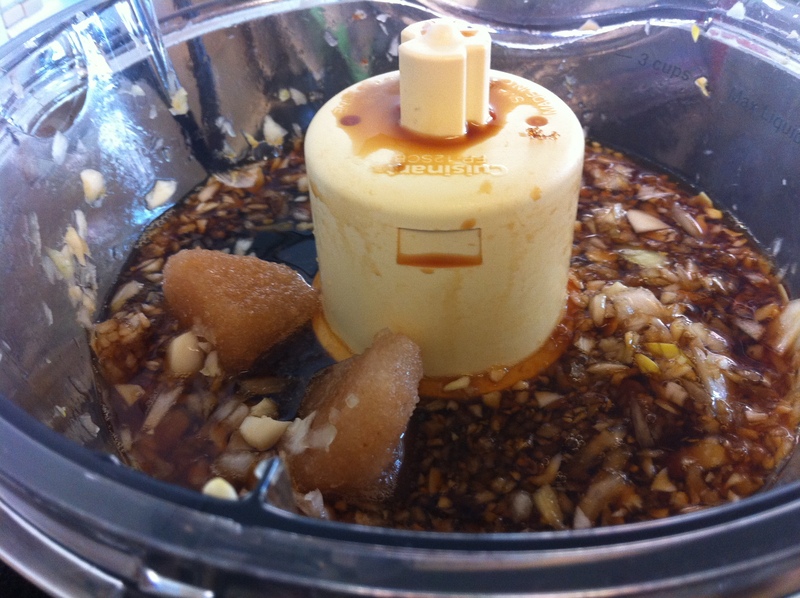 If you are using a pressure cooker or slow cooker, marinate the raw short ribs in the marinade for about an hour. Throw in all the ingredients and cook. Don’t worry if you don’t have ingredients like ginkgoes or jujubes. The most important part of this dish is the meat and marinade. Bae (배) or Asian pear is a fall/winter fruit. You can find bae during all four seasons in Korea but not in the US. 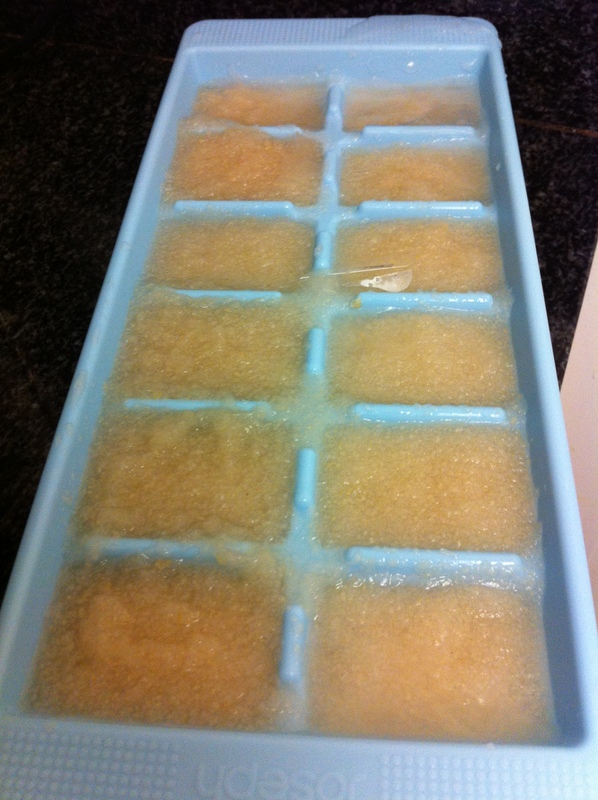 So, in order to have bae juice all year around, I puree them and freeze them in an ice cube tray. Once frozen, I store them in the freezer in Ziploc bags and use them all year around. 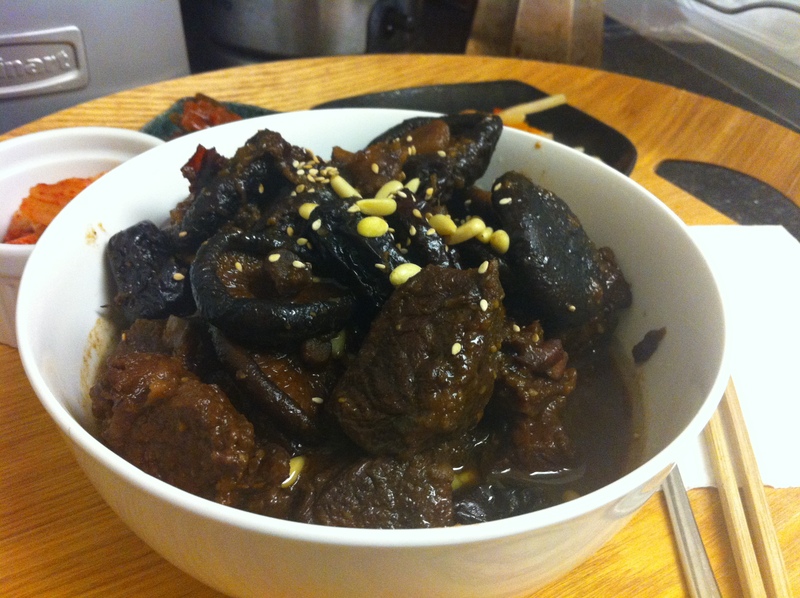 My mother always used to cook galbi-jjim the day before she was planning to serve it. 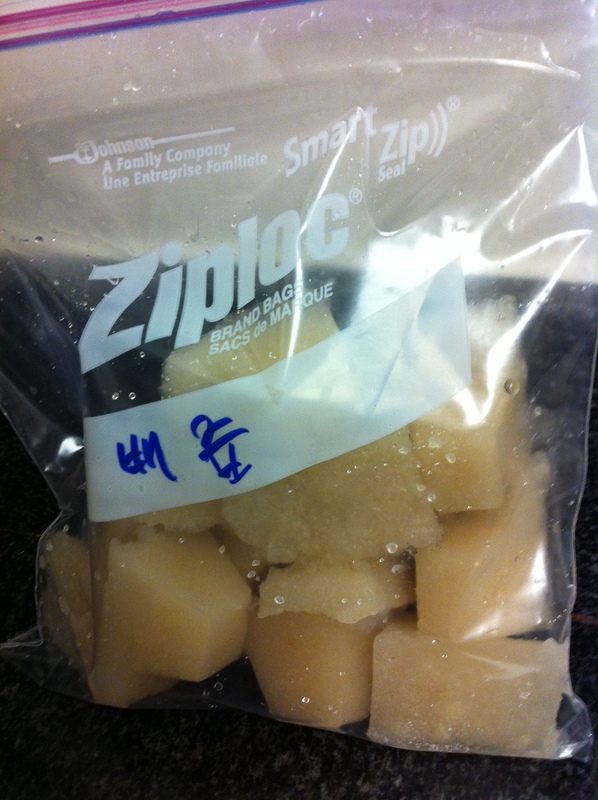 She placed the cooled galbi-jjim in the refrigerator, let the fat solidify on top then removed the fat. This not only made the dish leaner but the meat actually tasted better the next day. If you like to cut the greasy flavor, add one or two dried red chilies. This entry was posted in Good for dinner, Main Dish, Meat/Chicken and tagged Galbi, Jjim, Korean BBQ Marinade, Short RIbs by gangnamkitchen. Bookmark the permalink.